Machine Protection Solutions - Chip & Coolant Management | Hennig Inc.
Hennig has one mission: to protect valuable machines and the people who operate them. 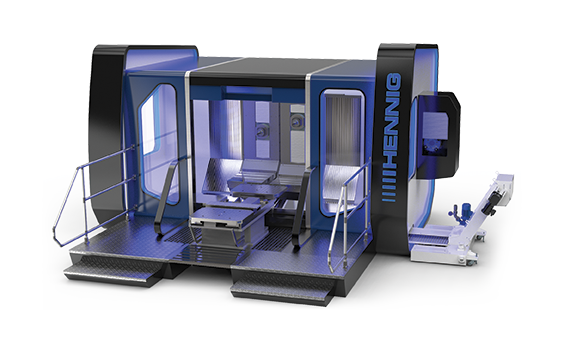 That singular focus has resulted in a steady stream of innovations and breakthroughs in protective coverings, chip/coolant management systems, and machine enclosures, propelling Hennig into a leading role in the metalworking industry. We provide repairs and replacement parts for all the products we sell. With our experienced technicians, it doesn’t matter who manufactured the original product, the end result must absolutely meet Hennig standards for quality and safety before we will consider it finished. A destination for manufacturers who simply don't have time for downtime - we're here to help make you successful.